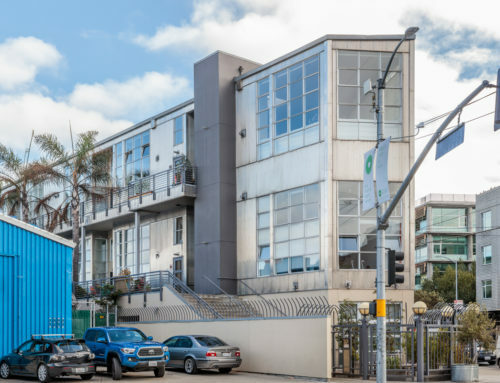 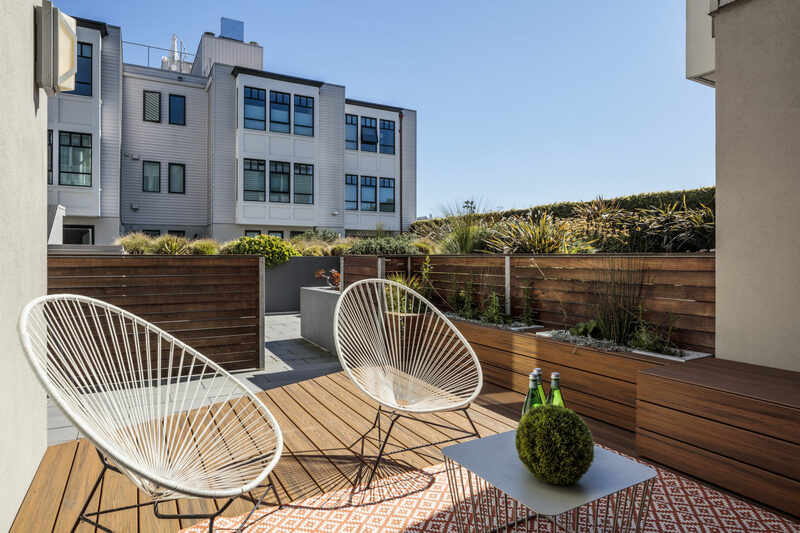 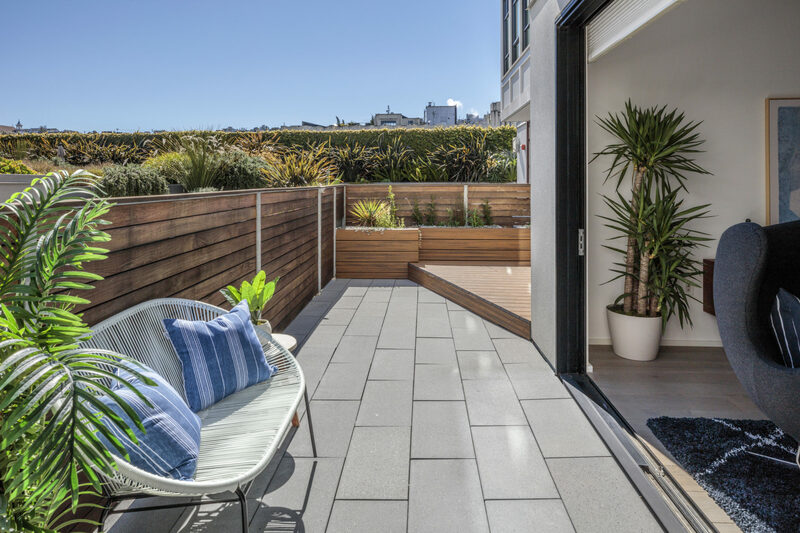 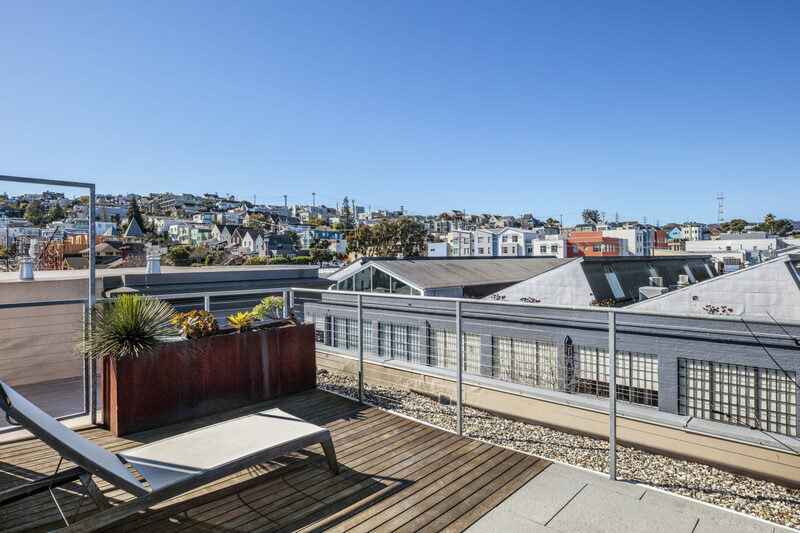 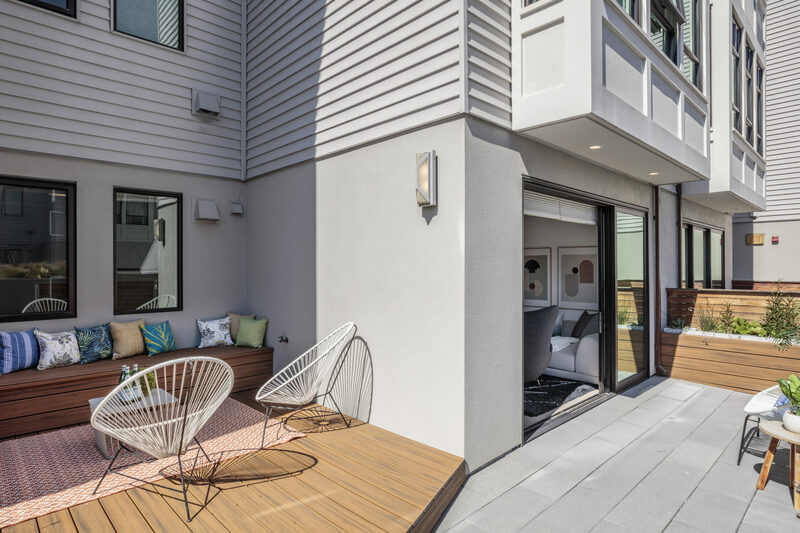 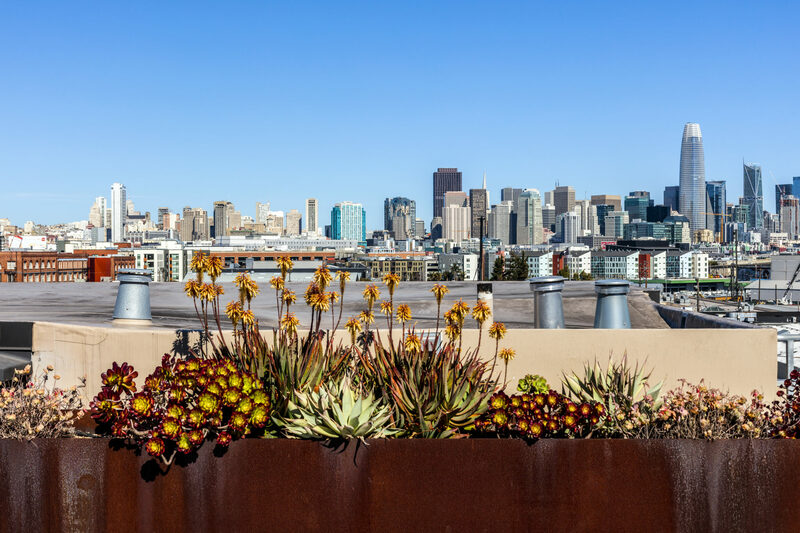 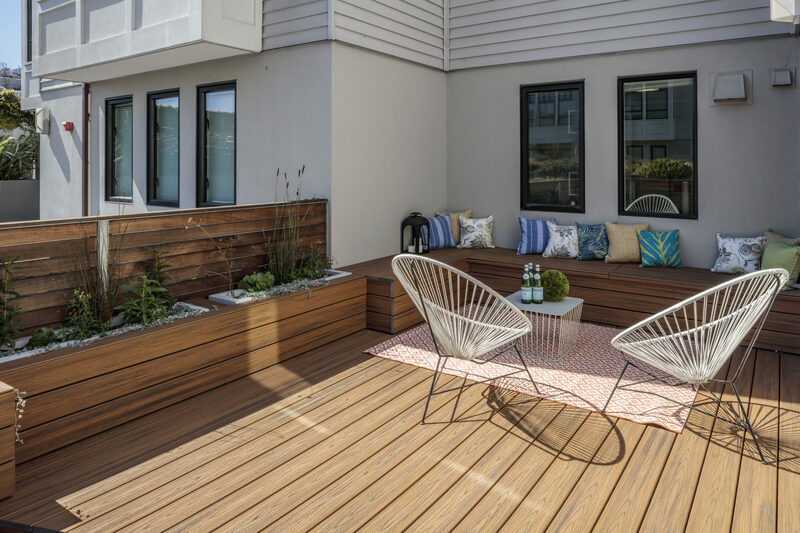 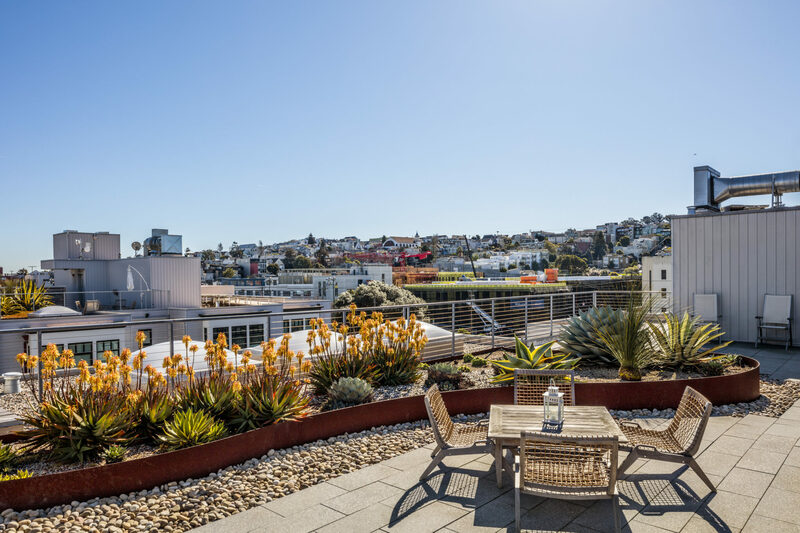 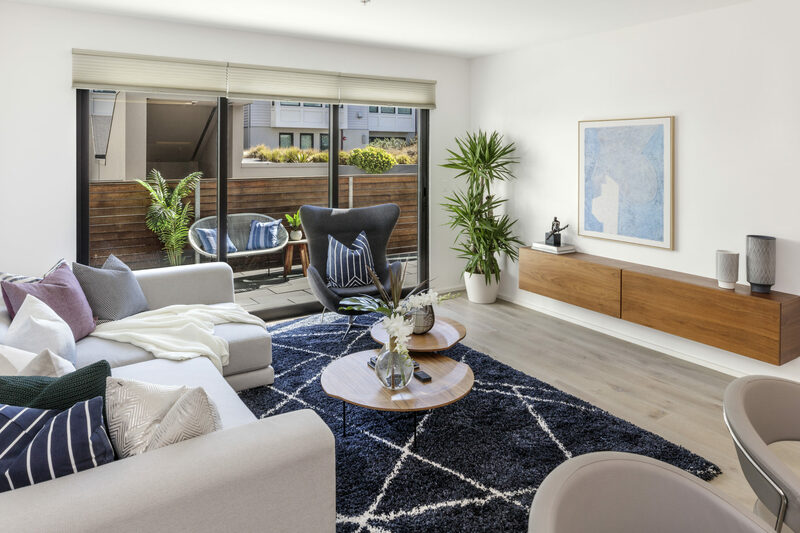 Welcome home to the Onyx: a modern masterpiece in the heart of Potrero Hill. 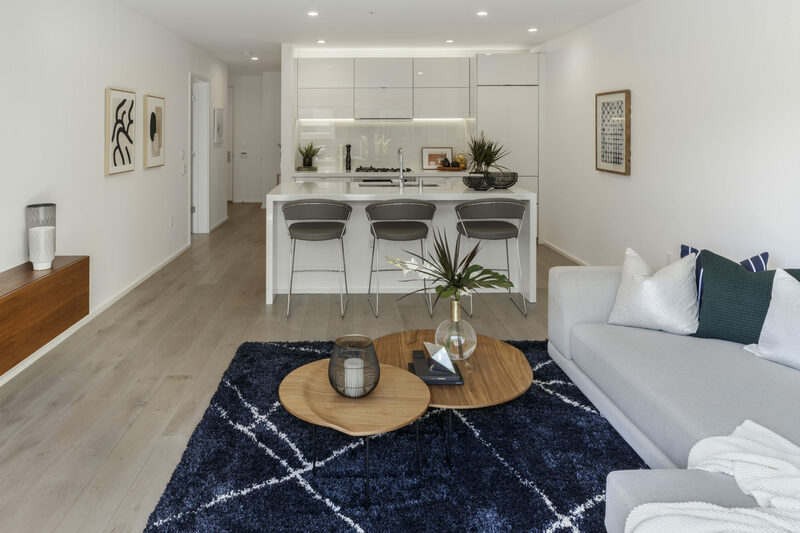 Residence #203 offers an efficient, open floor-plan with clean, up-scale aesthetics in a 20-unit marquee luxury building. 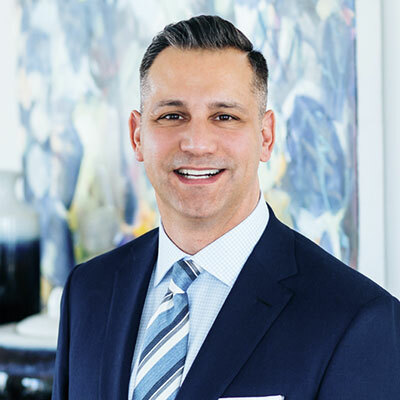 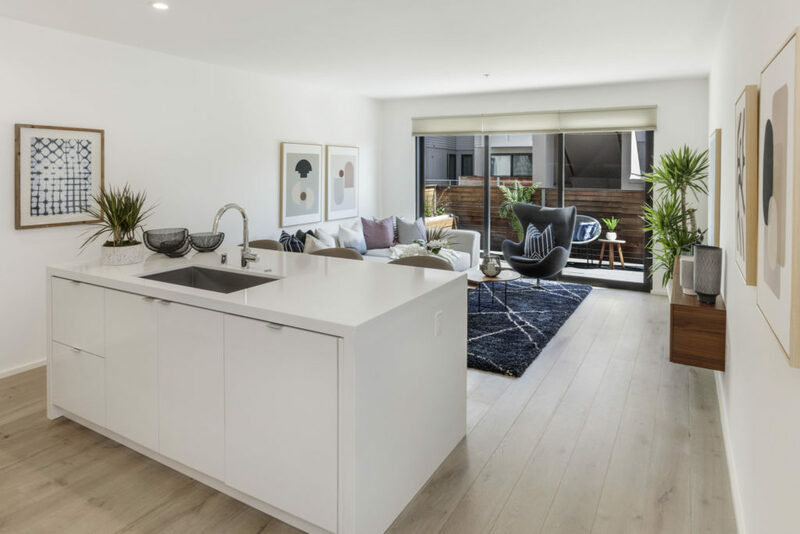 The home features sumptuous wide plank European rustic oak floors; a high-gloss modern chef’s kitchen; a master bedroom with a spa-like en-suite bath and private patio; and a stunning wraparound deck with inner courtyard views. 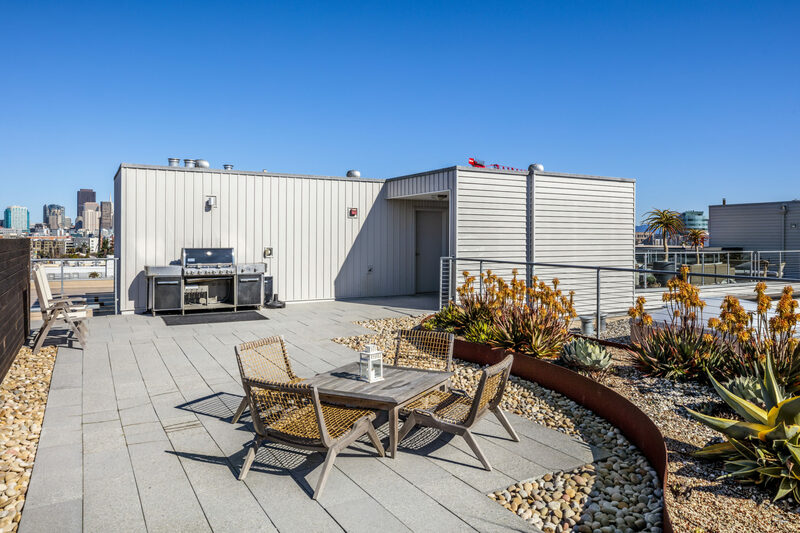 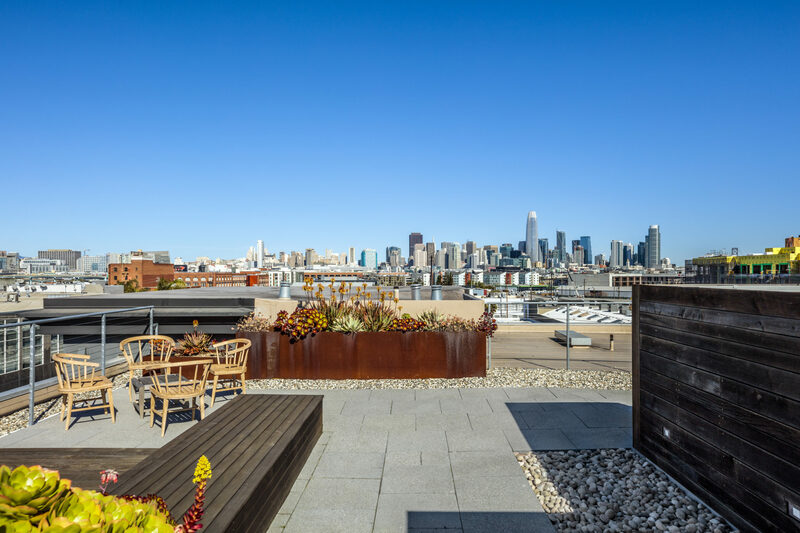 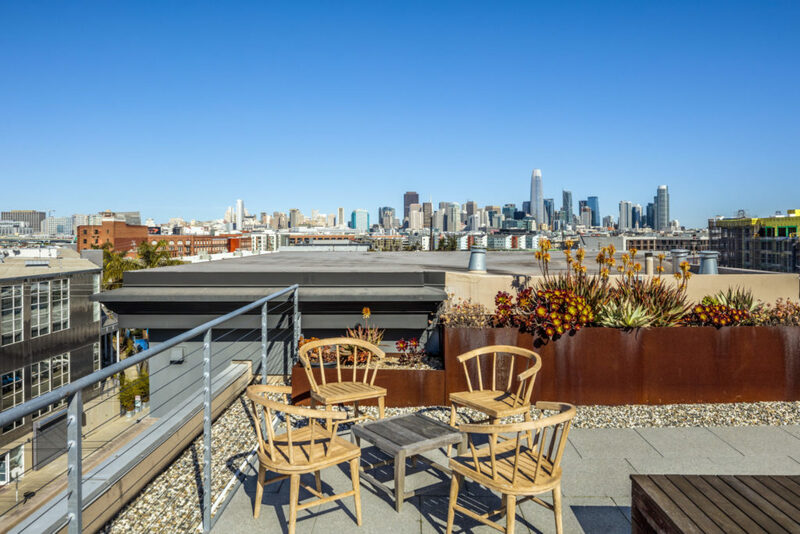 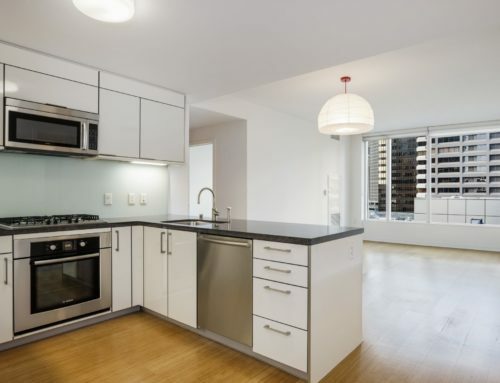 Amenities include a breathtaking rooftop terrace with barbecue area and engaging skyline vistas; and one car parking. 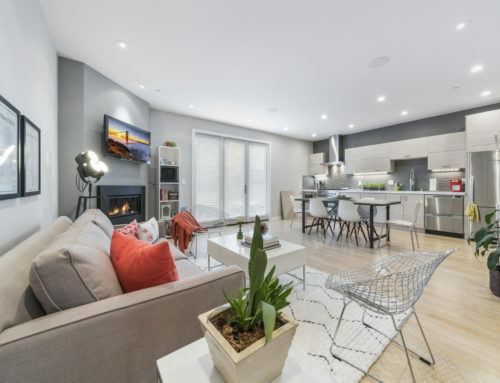 Residence #203 ‘s main living area is generously proportioned and serves as an ideal entertaining venue with radiant heated wooden floors and ample sunlight via a wall of windows. 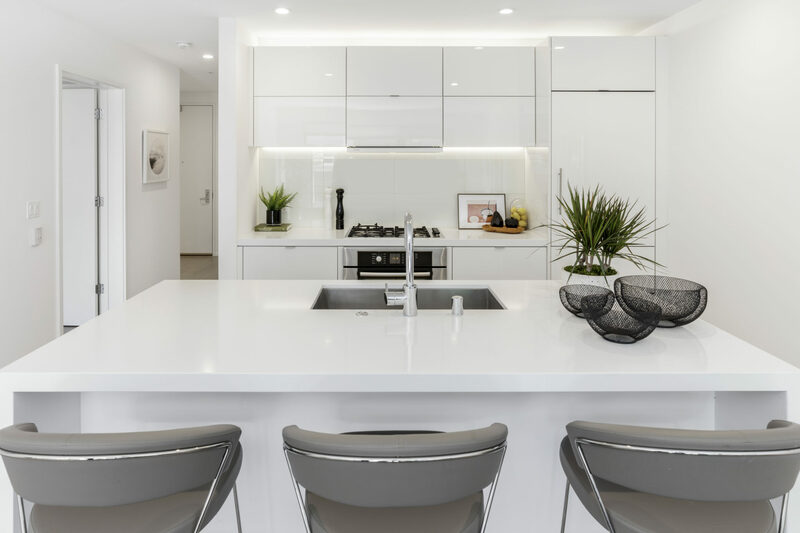 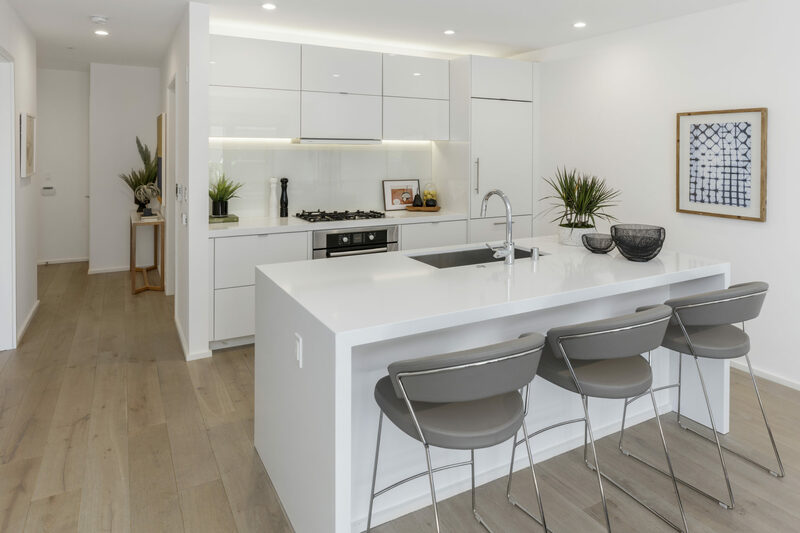 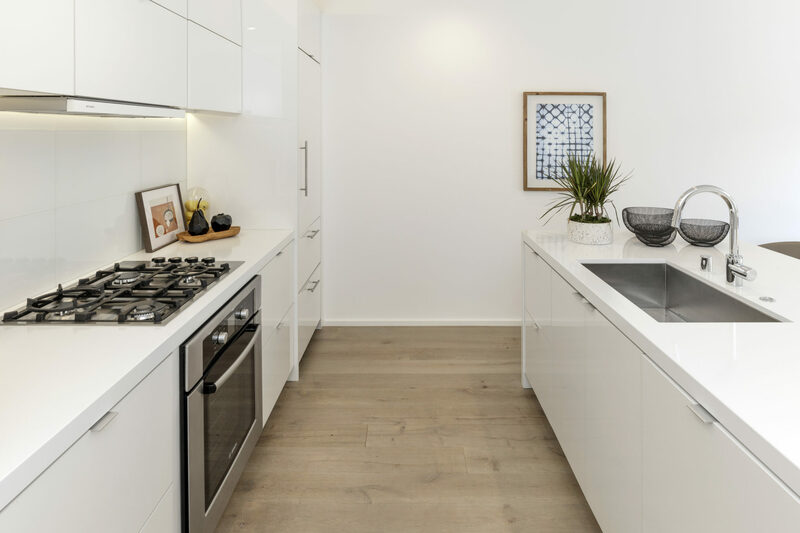 The open chef’s kitchen features sleek and stylish PentalQuartz counter-tops with glass tile backsplashes and custom cabinetry above, along with a professional grade stainless steel appliance package and gas range. 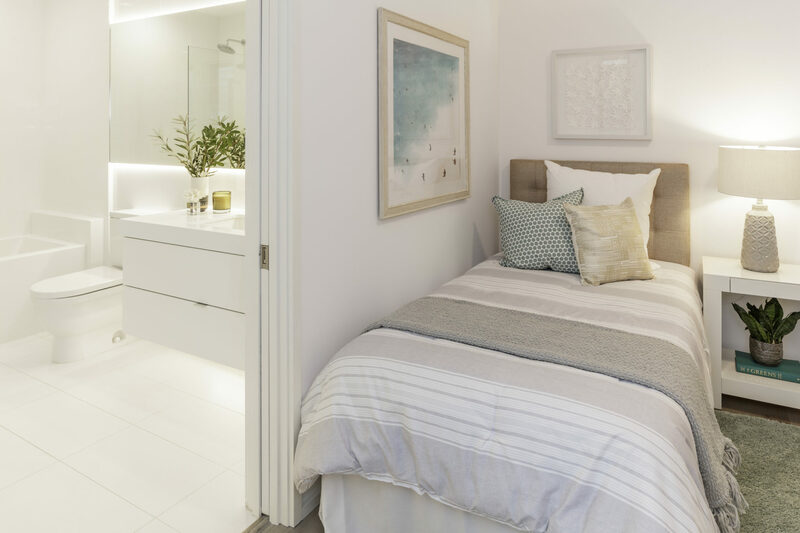 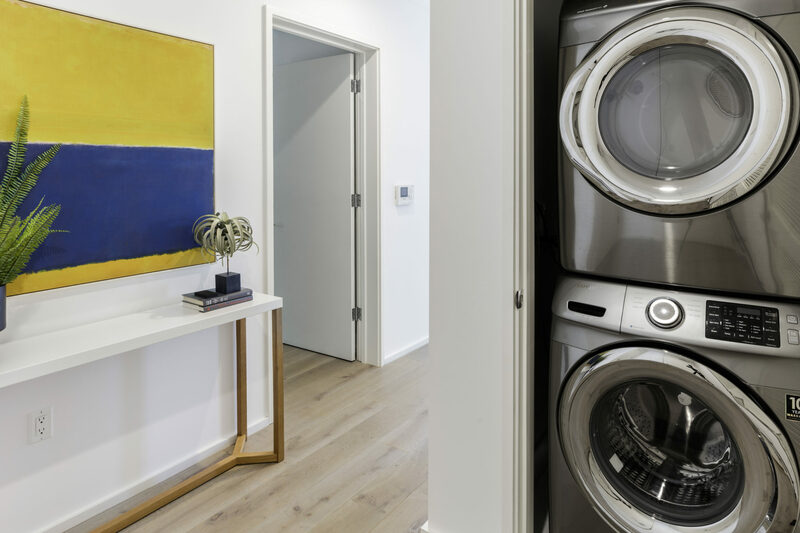 The master bedroom offers a closet with custom organizers; private patio access; and a spa-inspired, en suite bath with LED lighting, Hans Grohe fixtures and custom tile-work. 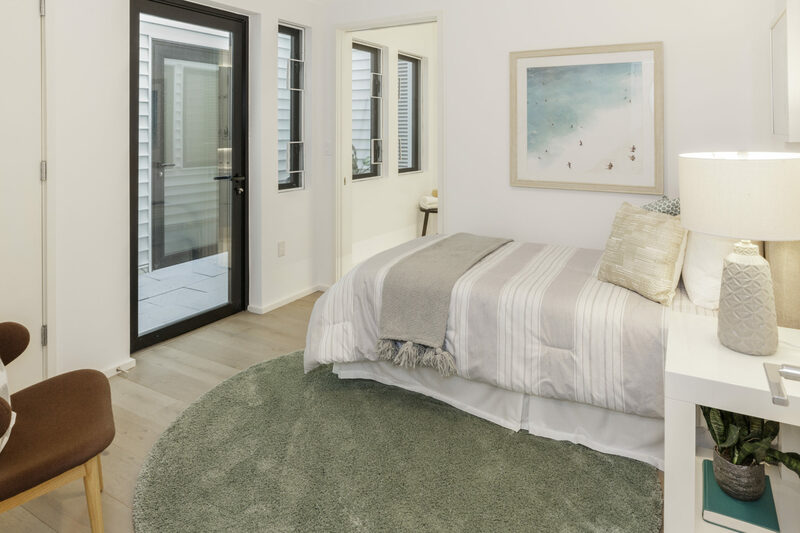 The second bedroom is well-sized and also features a closet with custom organizers. 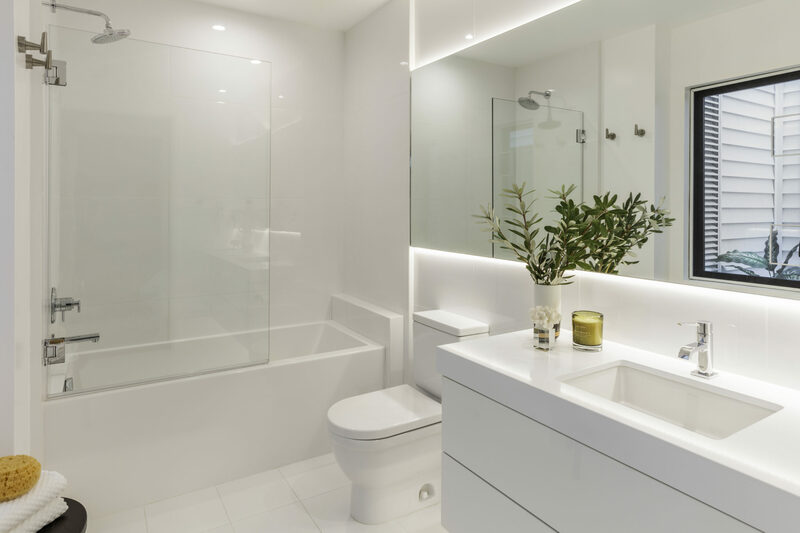 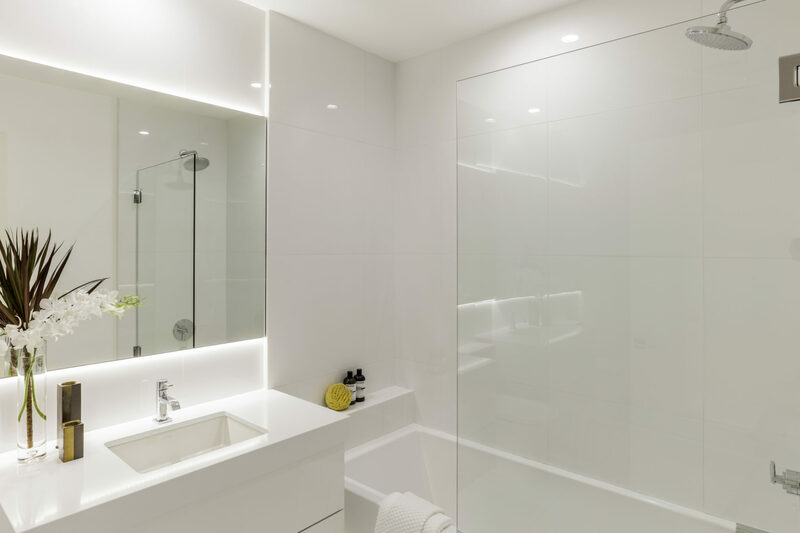 A common bathroom is available from the main hallway and includes modern finishes and fixtures. 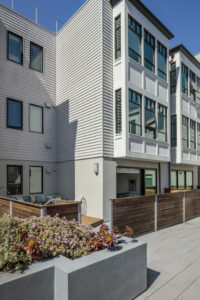 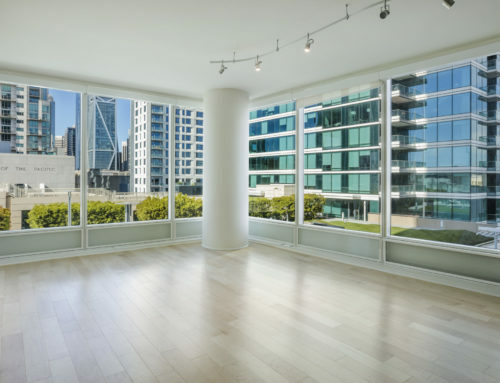 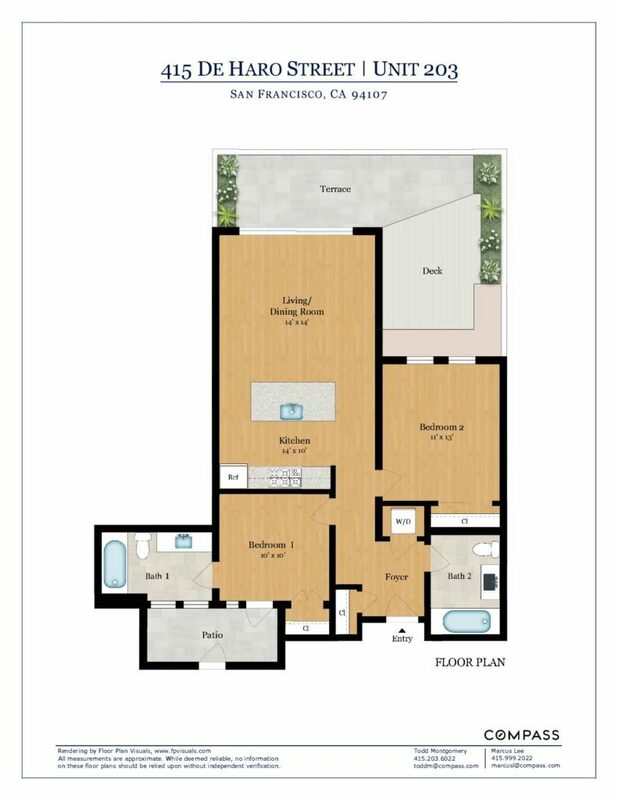 Onyx is located in San Francisco’s sprawling Design District and consists of 20 luxury residences. 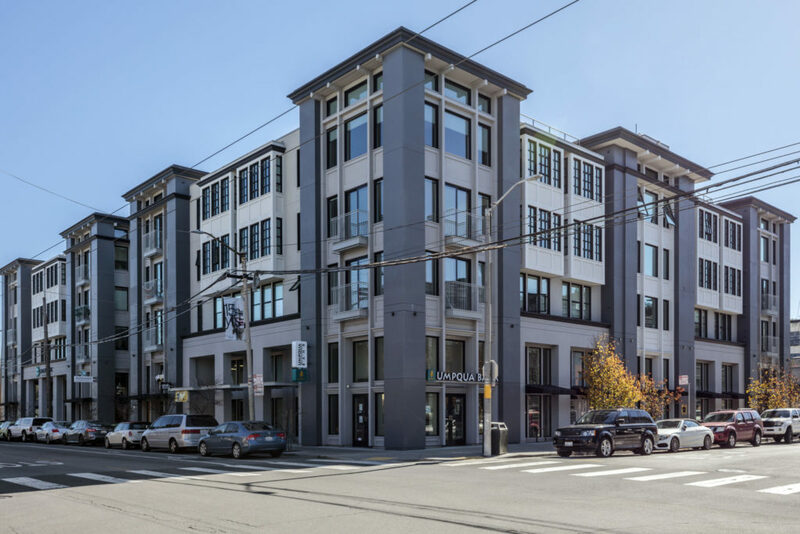 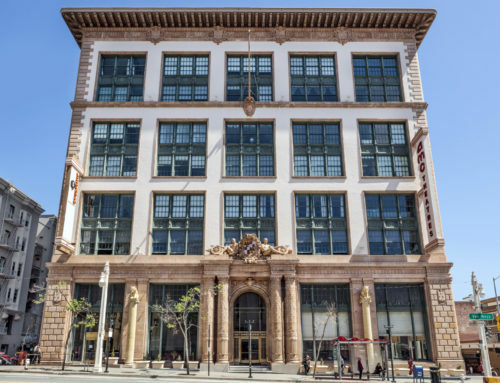 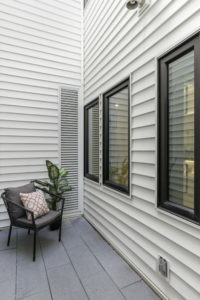 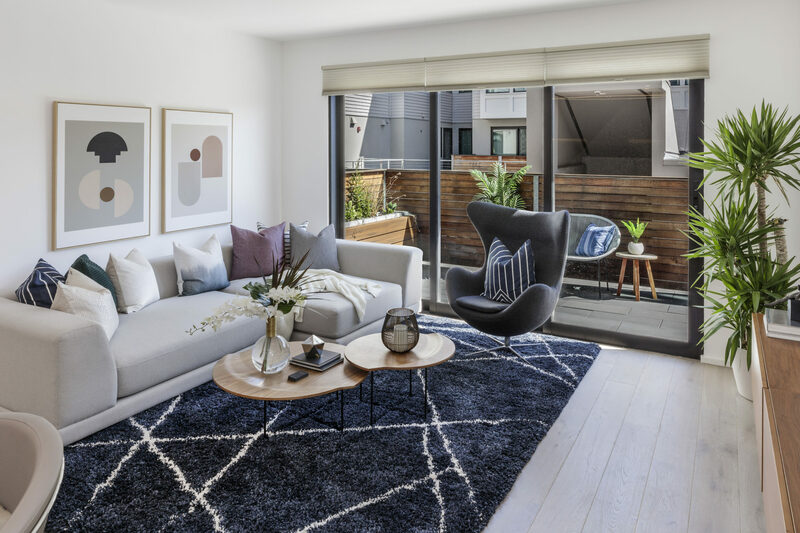 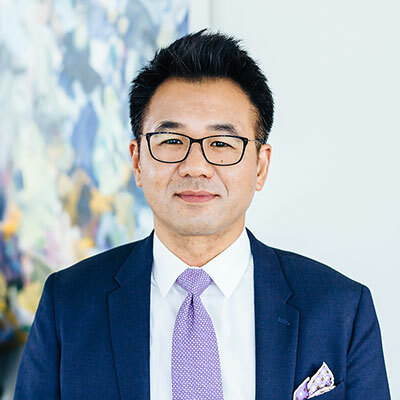 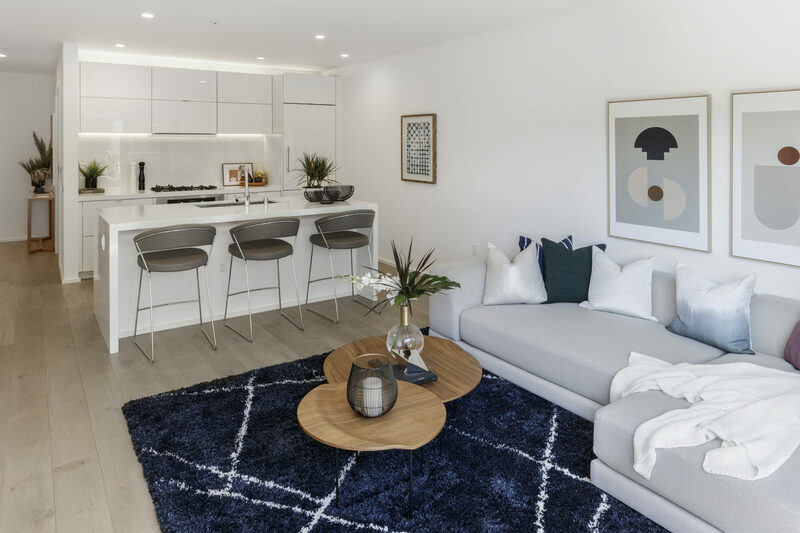 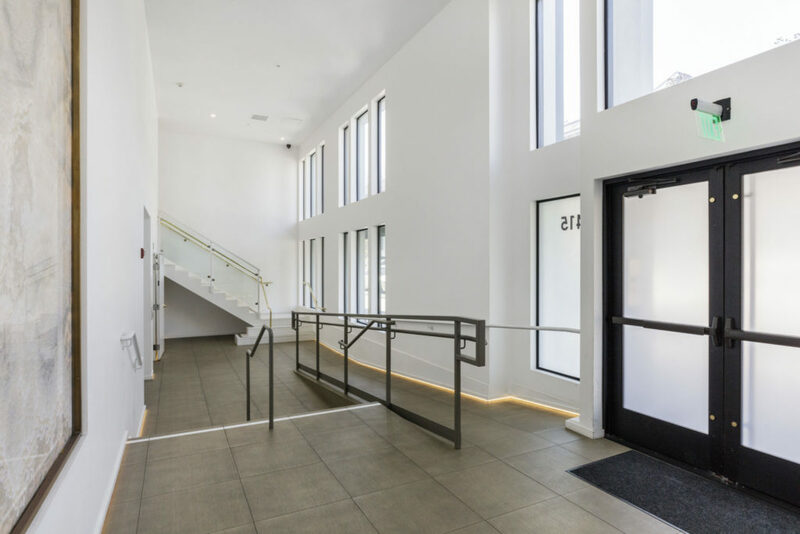 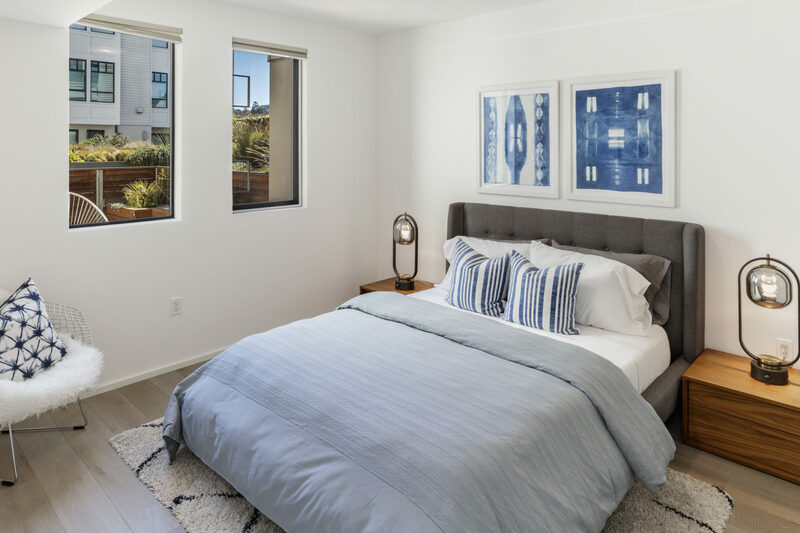 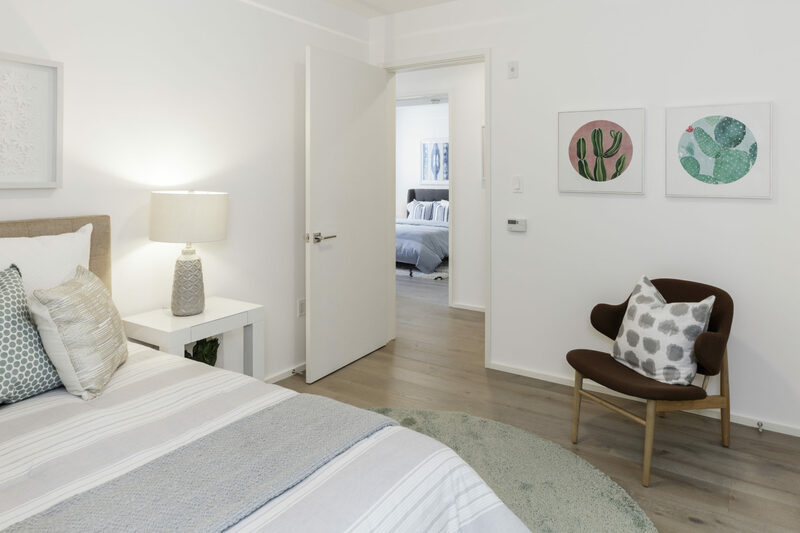 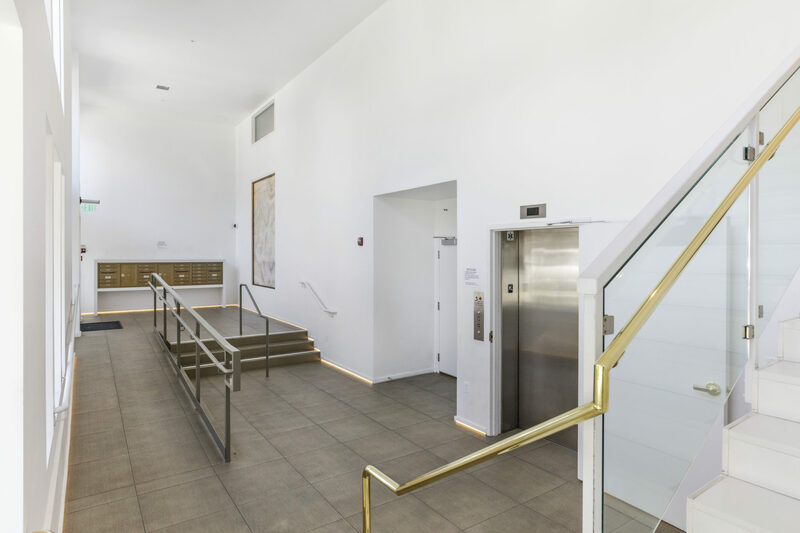 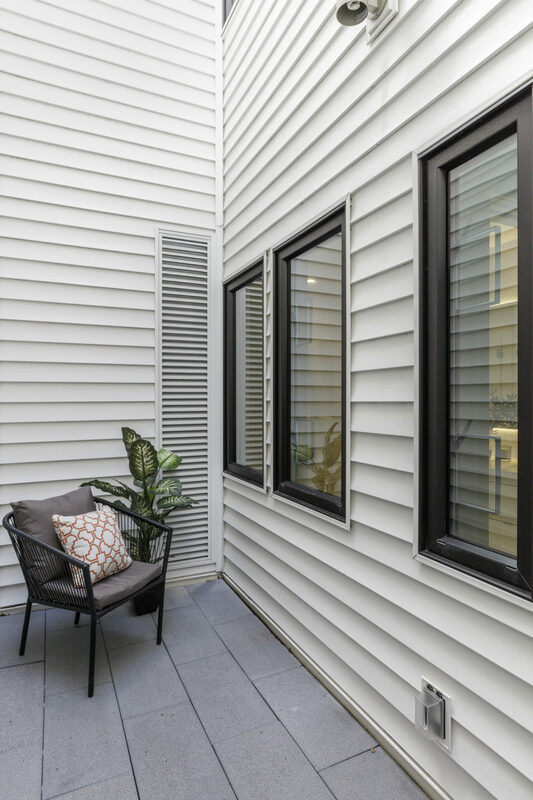 The marquee location is surrounded by premier design showrooms with the conveniences of a Whole Foods, fine local restaurants, cafes and shops, as well as public parks and daily conveniences within immediate proximity. 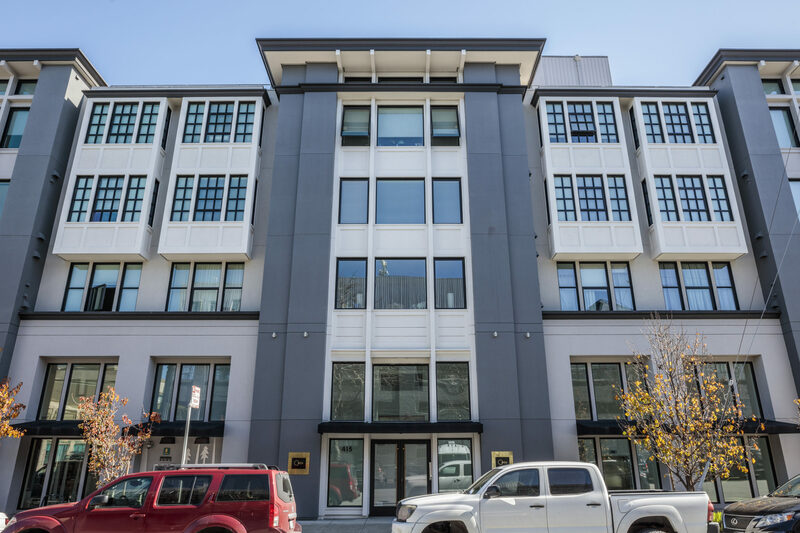 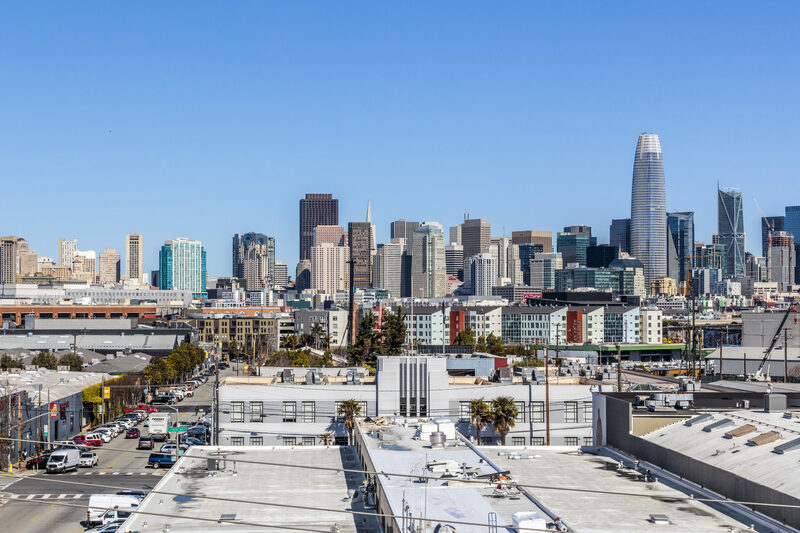 A central location close to freeways and main thoroughfares provides for a convenient commute whether it’s across the Bay Bridge, to I-280, I-101, Caltrain, or via shuttle services.